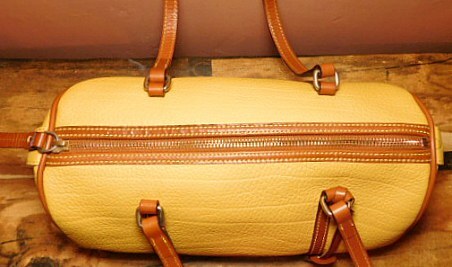 Color: Palomino with British Tan trim. 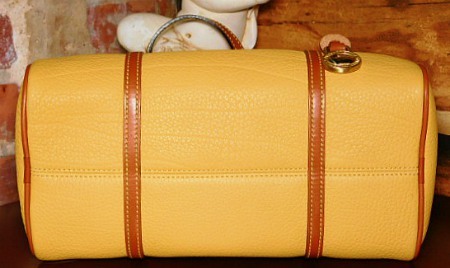 Size: H 5.25" L 11.25" 5.5"
Condition: Excellent- Mint, NOT NEW. Clean with minimal signs of use inside and outside. 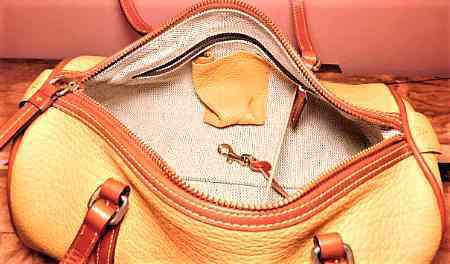 Bag has retained 100% of its original semi-crisp shape. No damage or missing parts. No odd odors. 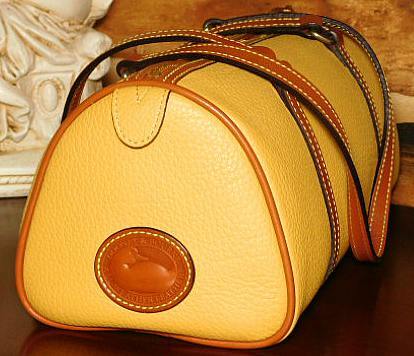 Jo's Note: "Cherished Palomino Dooney Barrel bag! 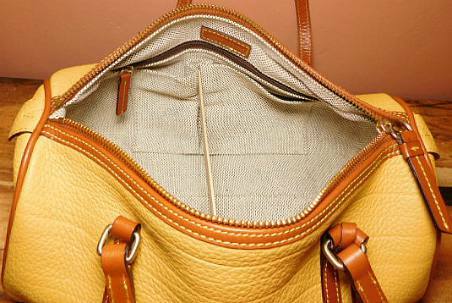 The generous amount and size of the interior pockets makes this an organizational dream. 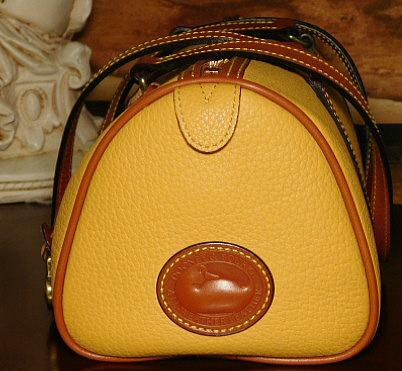 This is one of the earlier Barrel bags made in the early 2000's with the early style Brass Dooney Duck Fob which is in excellent shiny condition. 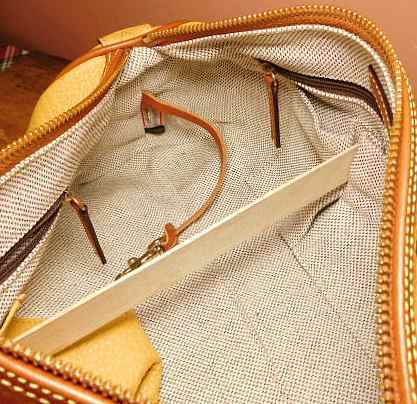 May be worn to dress up or for casual wear. 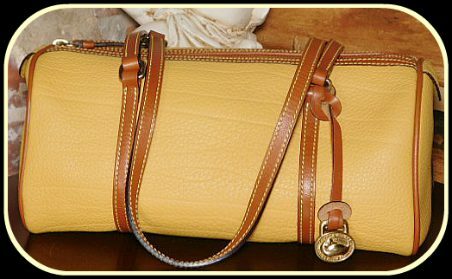 A fashionable and very rare mint condition Vintage Dooney Palomino Barrel Bag!"